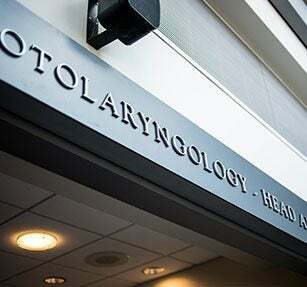 We thank you for your interest in contributing to the Boston Medical Center Otolaryngology Department. Donations help us maintain a tradition of world-class patient care and clinical advances by funding clinical research, medical equipment purchases/upgrades, continuing education and special programs. If you wish to donate to the Otolaryngology Department, please visit the secure online donation page. If you wish to donate to the BU-Tufts Alumni fund, please visit the secure online donation page. If you would like to join us for a race, enter a race on our behalf or make a race donation, please visit the Team BMC Runny Noses page. Money raised will allow the department to continue researching topics including cancer, hearing loss in children, disparities in allergy immunotherapy, chronic sinusitis and vocal cord paralysis, as well as educate the public about head and neck disease prevention such as cigarette smoking/vaping and throat cancer, allergies and chronic sinusitis, the influence of weight disorders on sleep, and noise exposure in relation to hearing loss. All contributions assist Boston Medical Center in providing our community with the very best in medical care, regardless of their ability to pay. Boston Medical Center is a 501(c)(3) nonprofit organization. All donations are tax deductible to the full extent of the law. Click to follow this link and submit a donation.